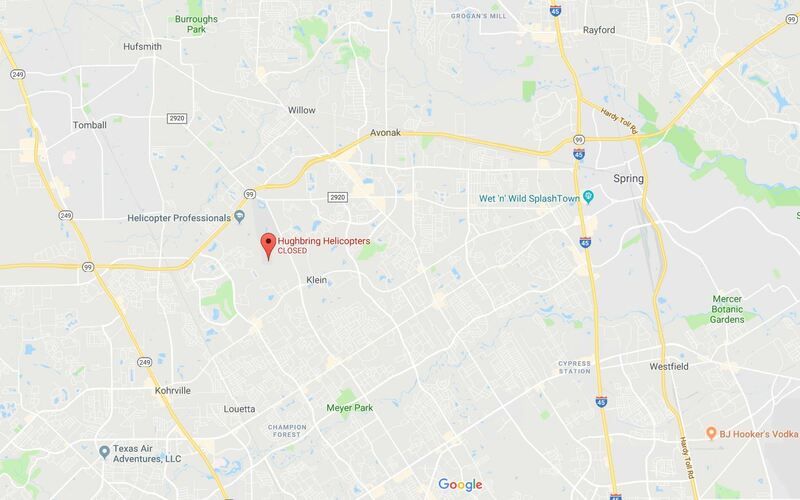 Hughbring Helicopters is a family oriented business, based at David Wayne Hooks airport in NW Harris county, and is dedicated to local general aviation helicopter work, airtours, photo flights, real estate and other property surveys. 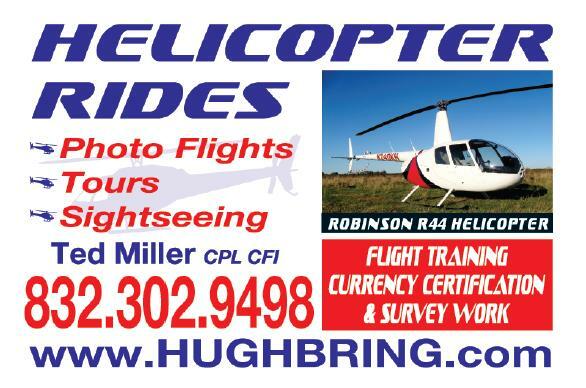 Our aircraft is a Robinson R44 helicopter. 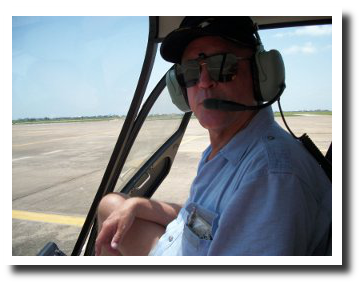 Owner/operator Ted Miller is a commercial pilot and certified flight instructor with over 5,000 hours of flight time in helicopters and fixed wing aircraft. Ted also uses the R44 in support of local law enforcement and volunteer search and rescue operations as well as charitable foundations. Ted is also a Robinson approved delivery pilot for R44 and R22 aircraft, and is available on request for delivery flights from the Robinson factory in Torrance, Ca., or as a ferry pilot from elsewhere. As an introduction to the world of helicopters we offer a 15-20 minute flight from our base airport at Spring for $50 per person (minimum 3 persons). We can (for an extra charge) carry out flights from your local airport or suitable landing facility by prior arrangement. The cost of the aircraft, regardless of number of persons on board, is $10 per minute. The maximum passengers is 3 persons. Therefore, costs are: 15 min = $150, 30 min = $300 ($600 per hour). Normal rates for commercial operations are typically between $550 and $650 per hour. R44 tour flights are available at weekends, public holidays or by appointment during the week. We are happy to offer special occasion flights: such as birthdays, anniversaries, engagements, Easter egg drops, corporate, and promotional flights. Flights are also available for commercial operations wildlife counts, photojournalism, evidence gathering for different entities. Pipeline, powerline, and other surveys. 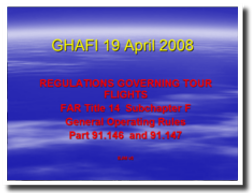 All flights are carried out under FAA Title 14 CFR Part 91 general flight rules and Part -91-146 and 147 airtour regulations. We are not an air transport common carrier or air taxi service. We have great deal for group, party and private event. Call us today to find out. Other unique or specific projects will be considered. 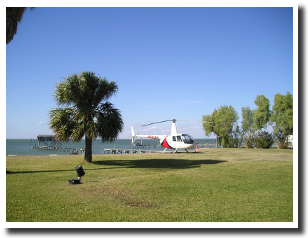 Helicopter, Houston Helicopter, Hughbring Helicopters, Hughbring Inc. are all operated as Hughbring Leasing Inc., a Delaware Corporation registered to do business in the State of Texas. 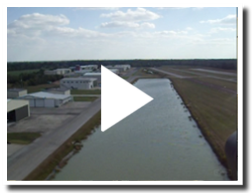 Basic flight training may be undertaken on a one on one basis. However this is not our core business. 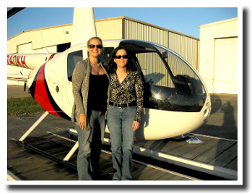 We offer biannual flight reviews and type certification for Robinson helicopters under SFAR 73. © 2019 Hughbring Leasing Inc. All rights reserved.